"Subitizing" is the ability to instantly recognize a quantity without counting. An article in a 1999 issue of Teaching Children Mathematics expressed the importance of developing this skill as a foundation for other mathematical processes. 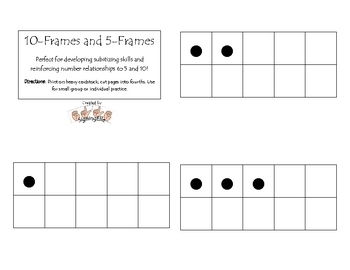 These flashcards provide a simple, elegant way to help develop subitizing in your students! The cards also can be used to reinforce fact families and number-bonds to 5 and 10. 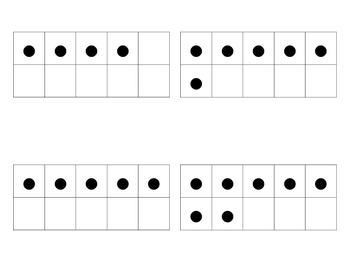 The frames also lend themselves to work with fractions (tenths and fifths) and decimals. What a versatile, simple tool!